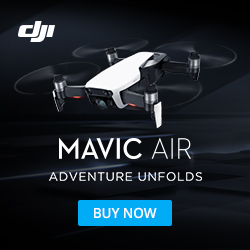 Its an exciting time for DJI drone fans with the release of the new Mavic Air drone. But for many people excited about the prospect of a Mavic Pro 2, they are left wondering what to buy. This is just a simple, impartial run through of what the main differences are and what may suit your needs the best. 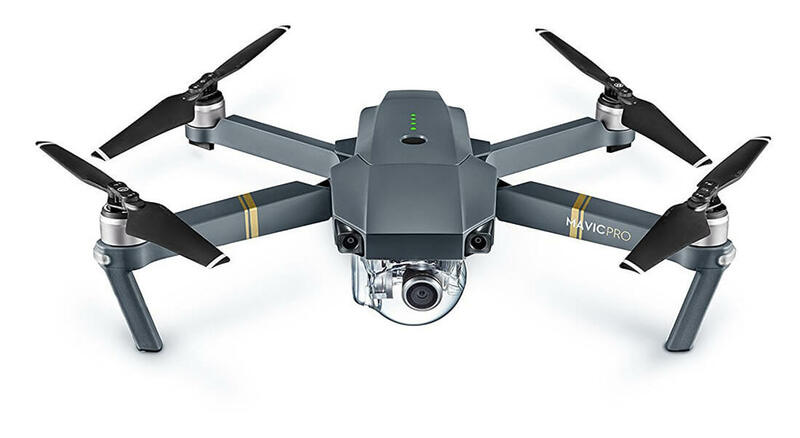 In short, the Mavic Pro is top dog for flight times and distance but the new Mavic Air brings with it a smaller / lighter design, faster top speed and all-new obstacle sensing setup. 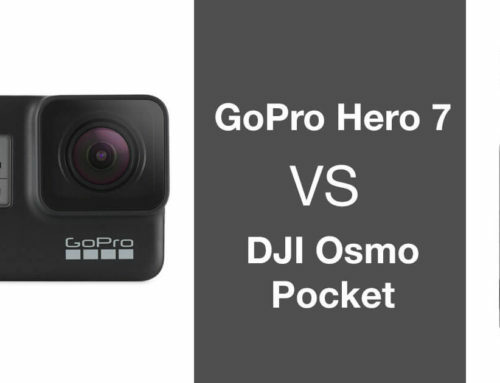 Both drones share the same foldable body type making them both incredibly compact for travel. The new Mavic Air is the smaller of the two and has the Mavic Pro beat for size, making it that bit easier to pack in to a bag or even a pocket. It also comes with a newly redesigned controller that allows you to remove the thumb sticks for easier transport. 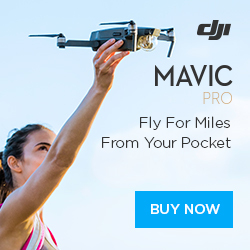 In tougher wind conditions the Mavic Air is actually claimed by DJI to be the better of the two at holding its position and getting a more stable shot. 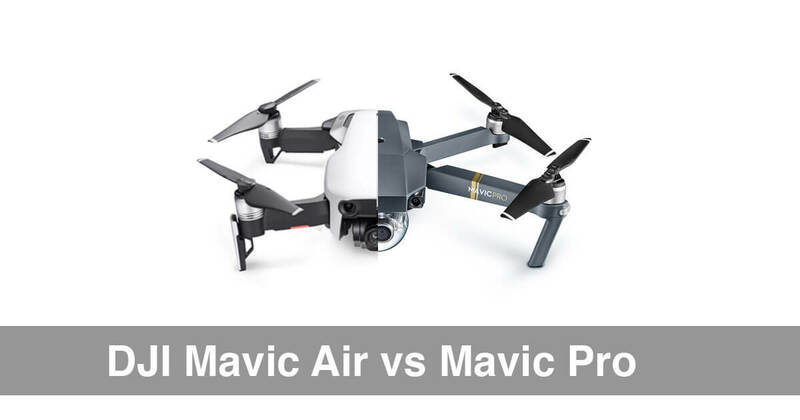 Video specs are very similar in both Mavic drones. 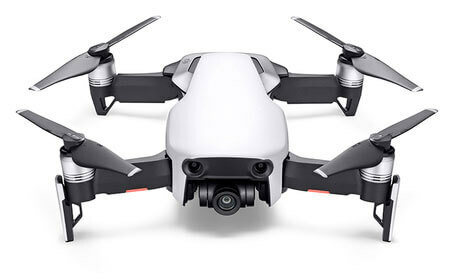 Both the Mavic Air and Mavic Pro have cameras with a 1/2.3″ CMOS sensor able to shoot 4K video at 30 frames per second mounted on to a 3-axis gimbal for buttery smooth video. Mavic Pro and Mavic Air both shoot 12 megapixel stills in both JPG and DNG Raw formats. Mavic Air comes with a new mode to shoot 32 megapixel sphere panoramas. Rather than having to rely on a Micro SD card the Mavic Air now comes with 8gb of onboard storage. Although both drones have obstacle avoidance, the newer Mavic Air comes with front and rear sensors as well as the all-new APAS (Advance Pilot Assistance Systems) that gives route avoidance in the air. Mavic Air actually inherits some flight features from the Spark including gestures controls, ActiveTrack and QuickShot modes. 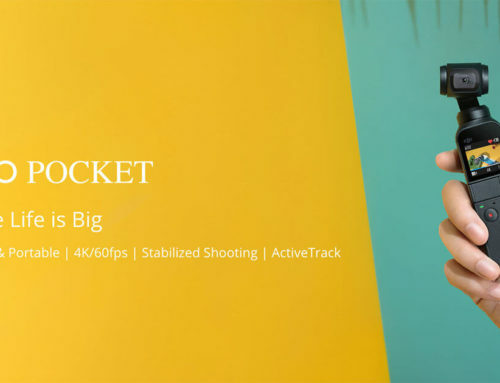 This means you can get amazing 4k quality tracking shots in the touch of a button. The Mavic Pro blows the Mavic Air out of the water with a 6.9km (4.3 miles) flying distance compared to 3.9km (2.4 miles). 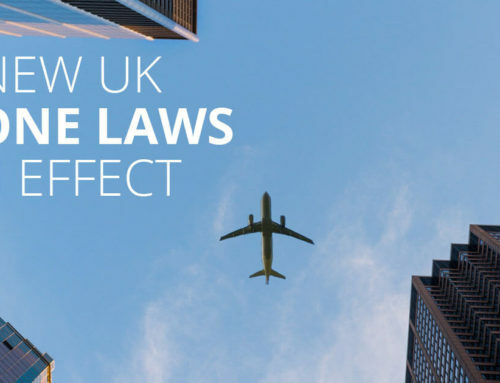 That said, to comply to flying laws you must keep the drone in line of sight at all times and most casual drone users are unlikely to reach distances anywhere near that. A lot of users of the Mavic Air may not even need the extra flying distance. Its no surprise that the Mavic’s bigger battery gives it longer flight times of 27 minutes compared to the Mavic Air’s 21. In terms of speed the Mavic Air just comes out top with speeds of up to 42.5mph (68.4kph) over the Mavic Pro’s 40mph (65kph) top speed. Price can be a big deciding factor, Mavic Air is £769 ($799) and £949 ($999) for the’Fly More’ bundle. The Mavic Pro is slightly more expensive costing £899 ($999) and £1149 ($1299) for the’Fly More’ bundle. But do take in to consideration the increased flight time and flight range of the Mavic Pro. Ultimately if you are just looking for something small and simple to capture 4k footage then the Mavic Air could be perfect for you. For the more demanding pilot the additional battery life and flight range Mavic Pro is going to make that the clear winner. Most pilots will not need that additional flight range and could get the extra flight time by purchasing the Mavic Air’s fly more combo. Mavic Air brings with it a new generation of features, so it does have that edge in terms of new onboard tech. 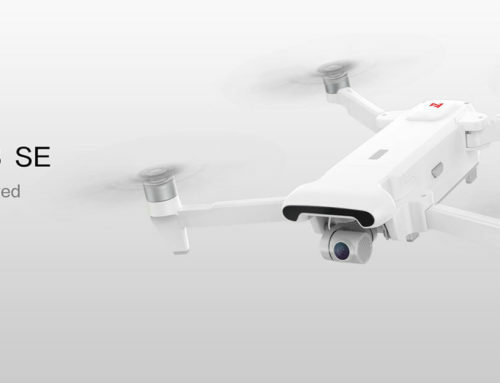 This is really just scratching the surface of the two drones, you can see more in-depth specs as well as other DJI drones and competitors in our Drone Directory. 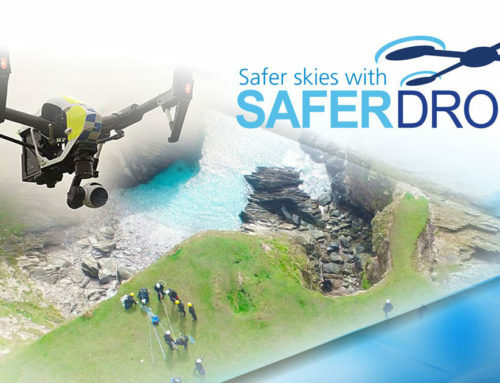 If you want to keep up to date with the latest drone news, then sign up to our newsletter. We never pass on emails to 3rd parties or spam our followers and you can unsubscribe at any time.